Categories: Opioid Analgesic, T, Taj Brands. Tags: isocarboxazid, linezolid, methylene blue injection, narcotic, Opioid Analgesic, phenelzine, rasagiline, selegiline, T.
The full name of your medicine is ‘TAPENCET ER 50, 50mg extended release tablets’. 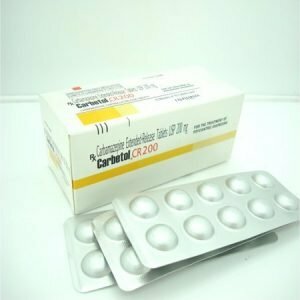 Tapentadol – the active substance in TAPENCET ER 50 – is a strong painkiller which belongs to the class of opioids. TAPENCET ER 50 is used in adults for the treatment of moderate to severe pain of recent onset that can only be adequately managed with an opioid painkiller. • have a tendency to abuse medicines or if you are dependent on medicines, as TAPENCET ER 50 may lead to addiction. In this case, you should only take these tablets for short periods of time and under strict medical supervision. Tell your doctor or pharmacist if you are taking, have recently taken or might take any other medicines. Your doctor will tell you which medicines are safe to take with TAPENCET ER 50. • Your breathing may become dangerously slow or shallow (respiratory depression) if you are taking certain sleeping pills or tranquilizers (e.g. barbiturates, benzodiazepines), or pain relievers such as morphine and codeine (also as cough medicine) in combination with TAPENCET ER 50. • Your consciousness may be decreased, you may feel drowsier or feel you might faint, if you take TAPENCET ER 50 with sedatives (such as benzodiazepines), antipsychotics (medicines that affect the state of mind or emotions), H1-antihistamines, opioids or alcohol. If this happens tell your doctor. • If you are taking a type of medicine that affects serotonin levels (e.g. certain medicines to treat depression), speak to your doctor before taking TAPENCET ER 50 as there have been cases of “serotonin syndrome”. • TAPENCET ER 50 may not work as well if taken with opioid like medicines (e.g. those containing pentazocine, nalbuphine or buprenorphine). Wort) that affects the enzymes required to remove TAPENCET ER 50 from the body, may affect how well TAPENCET ER 50 works or may cause side effects. The effects may occur especially when the other medication is started or stopped. • TAPENCET ER 50 should not be taken together with monoamine oxidase inhibitors (MAOIs – certain medicines for the treatment of depression). Do not drink alcohol whilst you are taking TAPENCET ER 50, because some side effects such as drowsiness may be increased. You can take TAPENCET ER 50 with or without food. • if you become pregnant during treatment with TAPENCET ER 50. Check with your doctor. If you feel drowsy, dizzy, have blurred vision or a slow reaction time whilst taking TAPENCET ER 50, then do not drive, use tools or machinery. Any such effects are more likely to occur when you start taking TAPENCET ER 50, when the dose of TAPENCET ER 50 is changed, or when you drink alcohol or take tranquilizers. TAPENCET ER 50 contains lactose. Your doctor will change the dose and time between doses of TAPENCET ER 50 according to your pain level and your needs. Generally, the lowest pain relieving dose should be taken. TAPENCET ER 50 is for oral use. 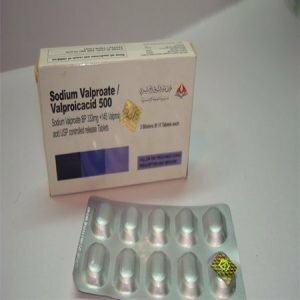 Do not take TAPENCET ER 50 if you have severe liver or kidney problems. TAPENCET ER 50 is not recommended for children and adolescents below the age of 18 years. Taking too much TAPENCET ER 50 may be life-threatening. If you experience any of these complaints after stopping TAPENCET ER 50, please contact your doctor. TAPENCET ER 50 tablets are white round shaped film-coated tablets, marked on both the sides. TAPENCET ER 50 tablets are packed in blisters. In the UK, TAPENCET ER 50 is available in boxes of 28 and 56 tablets.